Up to the three devices – desk, mobile and softphone – are united by a stylish touch screen base. 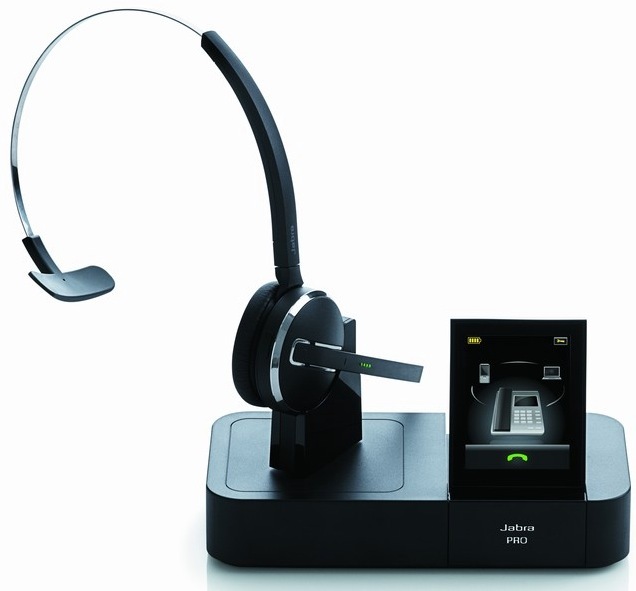 The base connects to your headset via DECT – a technology characterized by its reliable, long range capabilities – offering a wireless range of up to 450 feet. Equipped with a SmartSetup wizard, the touch screen helps you connect phones and choose preferences to get started. Once you’re up and running, it’s colorful icons and intuitive menu system make call-handling a breeze.